Life coaching is an incredibly helpful service when you are bogged down and need help making decisions or getting motivated - but whether you're looking for life coaching in Kamloops or anywhere else in the world, you will find that it is profoundly different from consulting, mentoring, advice, therapy, or counselling. We know that at C&C Resources for Life, so we wanted to take some time to explain what it is and how it works. The coaching process addresses specific personal projects, business issues, general conditions and transitions in a client's personal life, relationships or profession by examining what is going on right now, discovering what obstacles or challenges might be, and choosing an appropriate course of action that helps you take steps forward. 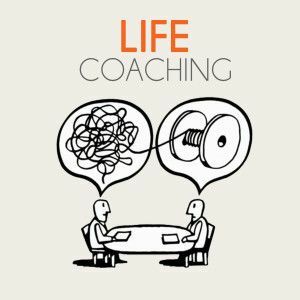 At C&C Resources for Life, we believe that Life Coaching is an integral part of the journey through life that many of our clients are taking. When they have done the initial work of mourning and they begin to look at reconstructing their life to represent their new normal, a Life Coach is a valuable asset. We are very happy to have an experienced Personal Life Coach on our team. Life Coaching has a history. The following information is adapted from the UBC website (http://www.hr.ubc.ca/coaching/what-is-coaching/) and we submit it here to help you understand the value that Shane Wiebe brings to our team. Coaching has it roots in athletics, where coaches help elite athletes fine-tune their performance. Coaching moved into the executive boardroom where existing and emerging leaders achieved impressive results working with a coach to fine-tune their development, performance and leadership skills. Coaching has evolved into two distinct categories: “Executive” Coaching, with a focus on organizational and professional goals, and “Personal” Coaching, with a focus on personal development and goals. Shane brings years of experience in athletics coaching to his current focus on coaching clients in their personal lives. Reports show that training increases effectiveness by 28% and training followed by coaching increases effectiveness by 88%. Coaching follow-up helps you apply your new skills and anchor your learning in real life situations as they arise in the day to day. Clients who have worked with a Coach and reached their goals, continue to use a Coach whenever they want to work on new goal. There is correlation between being coached and developing increased skill to self-coach and to engage in coaching conversations with others. Whether you have gone through counselling or simply want to challenge yourself to grow in a particular area of your life, we invite you to connect with Shane at C&C Resources for Life and experience his coaching skills for yourself.